Secure your Vitality Blast tickets at Derbyshire before anyone else with our pre-sale window, exclusively available to e-newsletter subscribers. 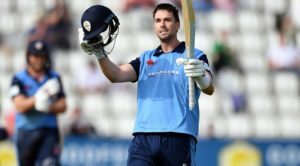 It’s your chance to secure tickets for the big local derbies this summer against Yorkshire Vikings – which is expected to sell out for a third year in a row – and Notts Outlaws before they go on general sale on Monday 4 March. Supporters will also be able to buy tickets at the discounted price of only £10 for selected fixtures, versus Lancashire Lightning, Worcestershire Rapids, Birmingham Bears, Northants Steelbacks and Leicestershire Foxes – but hurry, this offer is only available during the pre-sale window. The pre-sale runs from 12pm on Monday 25 February to midnight on Sunday 3 March. If you already receive our email communications, you will receive an email on Monday 25 February with a link to buy Vitality Blast tickets. Don’t worry if you don’t receive our e-newsletters, you have until midnight on Sunday 24 February to sign up and register for our Vitality Blast pre-sale window. And it’s simple to do. Click HERE to sign up. 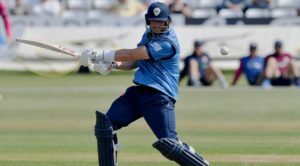 Derbyshire get their Vitality Blast campaign underway with two home derbies against local rivals Yorkshire Vikings and Notts Outlaws in two fixtures which are anticipated to sell out. Secure your tickets before anyone else during our pre-sale window. 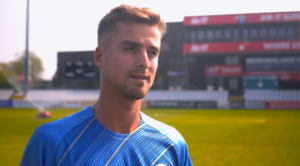 The Vitality Blast 2019 will take place predominately during the summer school holidays in July and August, with Derbyshire hosting seven home fixtures, six at The Pattonair County Ground, Derby and one in Chesterfield. For more information about Vitality Blast fixtures at Derbyshire in 2019, please email info@derbyshireccc.com or call 01332 388 101. Our offices are open Monday to Friday, 9am to 5pm.